Serck-Hanssen, professor of philosophy at the University of Oslo (UiO), will lead the Centre for the next three years. The Centre for Advanced Study (CAS) is pleased to announce the appointment of the sixth scientific director in the Centre’s history: Camilla Serck-Hanssen, professor of philosophy at the University of Oslo (UiO). 'CAS is a wonderful institution, and I'm looking forward to getting started on the tasks ahead,' Serck-Hanssen said. Serck-Hanssen comes to CAS with a keen understanding of the Centre’s mission to advance interdisciplinary fundamental research, as well as a track record of engagement in the Norwegian and international academic community and the public sphere. At UiO, Serck-Hanssen has served in multiple leadership roles, including as dean of research and head of department. She co-leads the project Conceptual Engineering, which is supported by a FRIPRO Toppforsk grant from the Norwegian Research Council. 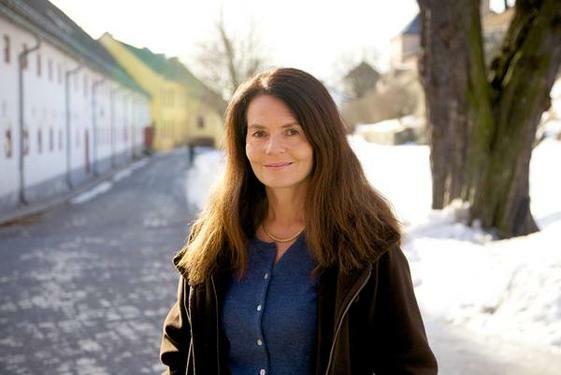 In addition to her work at UiO, Serck-Hanssen is the vice president of the Norwegian Academy of Science and Letters, leads the Norwegian Defence Ethics Council, and sits on the Norwegian Press Complaints Commission. Serck-Hanssen also has first-hand experience with the CAS concept. During the 2015/16 academic year, she co-led the CAS project Disclosing the Fabric of Reality - The Possibility of Metaphysics in the Age of Science. In her own research, Serck-Hanssen has focused on the history of philosophy in the 17th and 18th centuries -- especially the works of the German philosopher Immanuel Kant -- and military ethics. She is co-editor-in-chief of the scholarly journal Archiv für Geschichte der Philosophie, and serves as president of the Norwegian Kant Society. Serck-Hanssen obtained her Ph.D. from the University of California, San Diego. She succeeds Professor Vigdis Broch-Due, whose term expires 30 July 2018.